Generational Capital Markets, Inc., member FINRA/SIPC, (“GCM”) an advisor to privately-held businesses for mergers & acquisitions, is pleased to announce the acquisition of its client, Rhodes Manufacturing Inc., headquartered in Somerset, Ohio, by 3 Rivers Capital, headquartered in Pittsburgh, Pennsylvania. The acquisition closed on March 31, 2015. 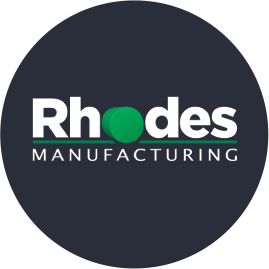 Rhodes Manufacturing Inc. designs, fabricates, and repairs/refurbishes custom steel and aluminum storage and fluid containment takes for the petroleum, agriculture, and various other industries. Rhodes bills itself as an “oil field specialist since 1977,” providing new and used storage tanks in various sizes and can customize tanks to customer specifications. To learn more, visit www.rhodestanksrus.com. Founded in 2005, 3 Rivers Capital focuses on equity recapitalizations and buyouts of companies with revenue of up to $50 million, chiefly niche manufacturing and specialty service businesses where it believes it can create value. To learn more, visit www.3riverscap.com. Generational Capital, LLC is a Dallas, TX based merger & acquisition advisory firm. Generational Capital wholly owns Generational Capital Markets, Inc., Member FINRA/SIPC. More information can be found at www.gencm.com. Generational Capital and Generational Capital Markets are affiliated with Generational Equity, LLC. Generational Equity’s website is www.genequityco.com and its online newsroom can be found at www.gecpress.com or http://blog.genequityco.com. Generational Equity was recently recognized by the M&A Advisor as the Valuation Firm of the Year. Additionally, the firm received the M&A Advisor Deal of the Year Award in the $10 – $25 million category in 2014.